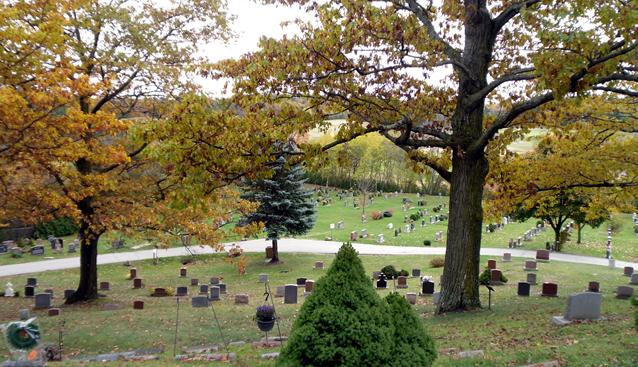 If you are pre-planning cemetery arrangements for yourself or loved ones, or it is the time of need itself, you must make a decision concerning the type of interment you prefer i.e. cremation, or casket burial. Whichever interment you choose you will need to purchase interment rights. The staff at the cemetery office will be more than happy to help you with these arrangements. A burial vault, a protective outer container for the casket is highly recommended. 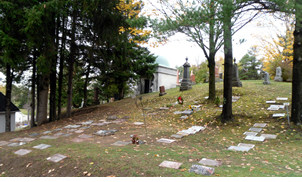 A burial vault provides long-lasting protection needed to resist elements, including water and over the years the servicing of the cemetery grounds, thus, preserving the beauty of the cemetery and the safety of visitors and staff when walking through the grounds. We also have strict regulations about grave site decorations to ensure that a naturally beautiful and uncluttered environment is provided for all families. 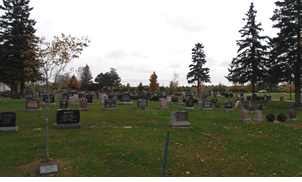 For a small charge we have flowerbed programs that we provide for families that can't visit the cemetery as often as they would like to water and take care of flowerbeds.